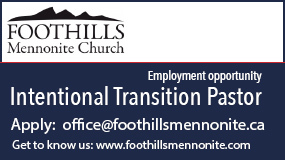 For much of Mennonite history, leaders were called from within the group to serve. This was in addition to working on their own farm or business to pay the bills. 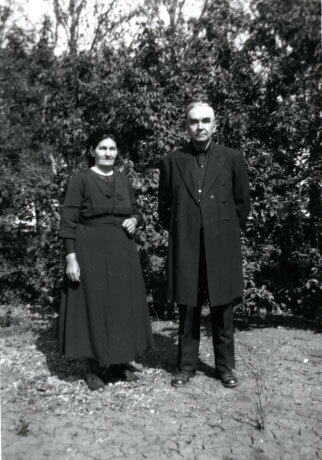 One of the longest-serving bishops of the Sommerfeld Mennonite Church, centred in Manitoba, was Peter A. Toews (1877-1961), pictured with his wife Maria Toews (1880-1970). He was elected minister in 1929 and served as bishop from 1931 to 1951. 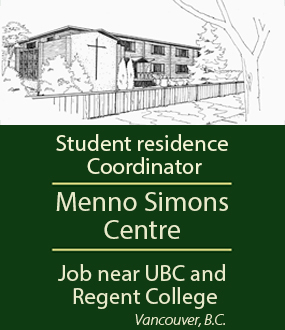 This non-salaried leadership model continues in the more traditional Mennonite groups. Will we see a return to the old ways with more non-salaried lay leaders or bi-vocational church leaders in the coming years? My great grandfather. Actually a GC'er who married a Sommerfelder lady. From what I know, he never totally let go of his conference roots. Became reeve, machinery dealer, cattle trader, and farmed. Very interesting man.